Saves your page with style. Never scars the page or falls out. Makes a stack of books sparkle. 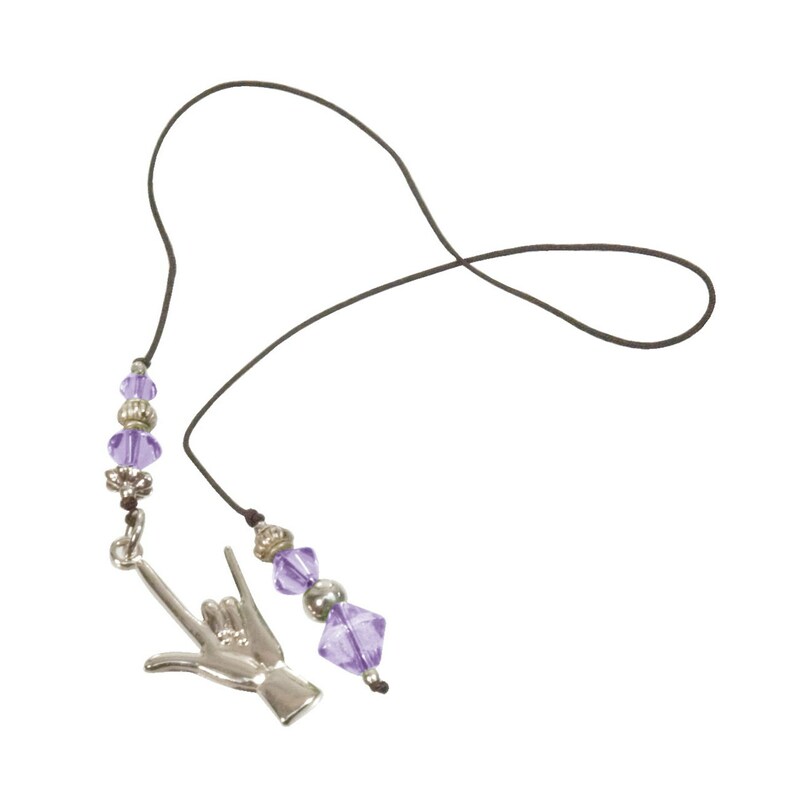 Silver plated charm on black cord shows hand signing ILY.